Two Chicks On Books: Guest Post- Anne Leonard talks about Dragons and a Giveaway! 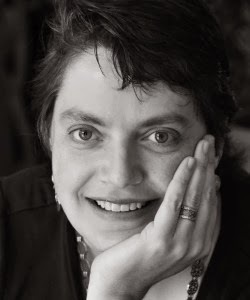 Guest Post- Anne Leonard talks about Dragons and a Giveaway! I am freaking stoked to have Anne Leonard here today! 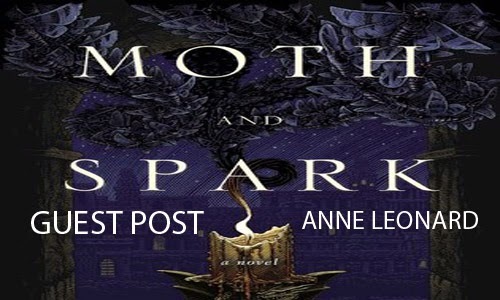 When I was contacted by Viking Books about MOTH AND SPARK asking if I'd love to host a guest post and a giveaway my reaction was heck yes! Not only is this a high fantasy book and right up my alley but Anne is a Northern California author and I love to support my Nor Cal peeps! Haven't heard of MOTH AND SPARK? Check it out! Thanks Anne! I love dragons!! The book sounds great. 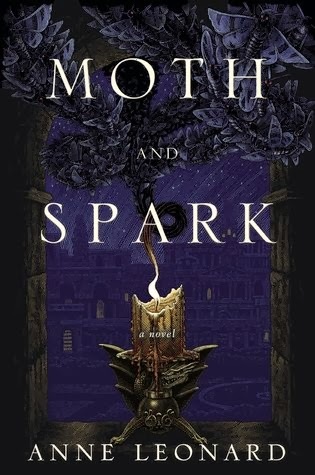 I love reading about dragons and the title has me curious because Moth and Spark doesn't sound like there are dragons. What a great looking cover!! The book sounds awesome and I love the name!! The cover and dragons had me interested from the moment I saw it. That's more than I've ever known about dragons. Do you dream about them as well? Thanks for the cool post. This sounds great!! And I love dragons so I totally loved this post!! I'm all for anything with dragons. Very excited! The cover is amazing, the book sounds like a wonderful read and I love love love the whole take on dragons. Wow!! This will be fun. This book sounds really good. Yay dragons! And what a gorgeous cover. I am currently reading this one. It sounds very interesting :D I am all about the dragons. I've been on a dragon high lately so this is right up my alley :). Thank you. Some believed a long time ago that moth's and butterflies were fairies and they used that form to interact with humans without giving themselves away. What do you believe? I have been eying this one for a while. The cover is so beautifuL! I'd love to read this! It looks and sounds intriguing!